Can you believe it? Thanksgiving is here! 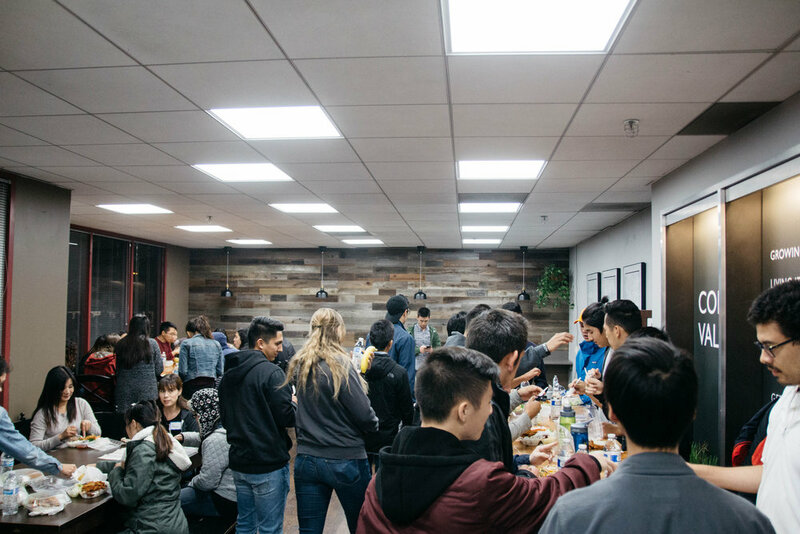 We’ve hit November, which means that we just had our annual Thanksgiving Retreat and Celebration! Klesis combined with our friends from all across our church to take part in what might be the spiritual highlight of the year. It was an awesome weekend of catching up with old friends, meeting new ones, and eating a lot of really good food! And of course, praising God for all that He’s done this past year. So much happened over those three days, it feels almost ridiculous trying to condense it into one blog post, but I’ll do my best to squeeze it all in. 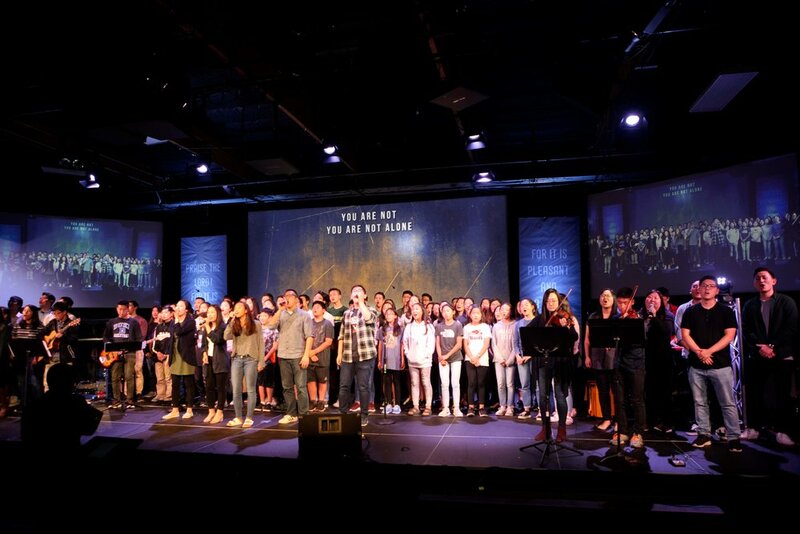 Starting Friday night, we heard stories and testimonies of God’s amazing work in the young and the old: our youth and elderly care ministries. We were all so encouraged by the different sharings from these parts of our church, as we sometimes don’t see this side from the Berkeley campus. Saturday was a packed day, as we watched videos of older ones at our church share openly and honestly about different struggles and difficulties they’ve experienced over the years. 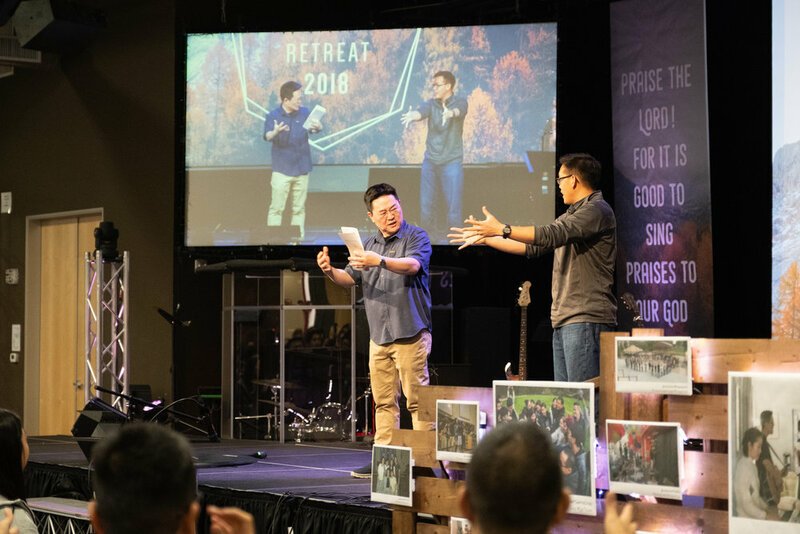 Because this year’s retreat was centered on our church’s core values, each story focused on one of these values, and they all gave us a clearer sense of what it means to live out our faith in a concrete way in our own lives. Along the way, we learned different hand gestures for the core values, so hopefully we can all remember them more clearly now! Also, it was Pastor Ed’s birthday over the weekend, so we celebrated as a whole church! But then Sunday rolled around. After an afternoon message on praising and worshipping God through the Psalms, we all partook in what was probably the most absurdly awesome potluck any of us have ever seen in our lives. 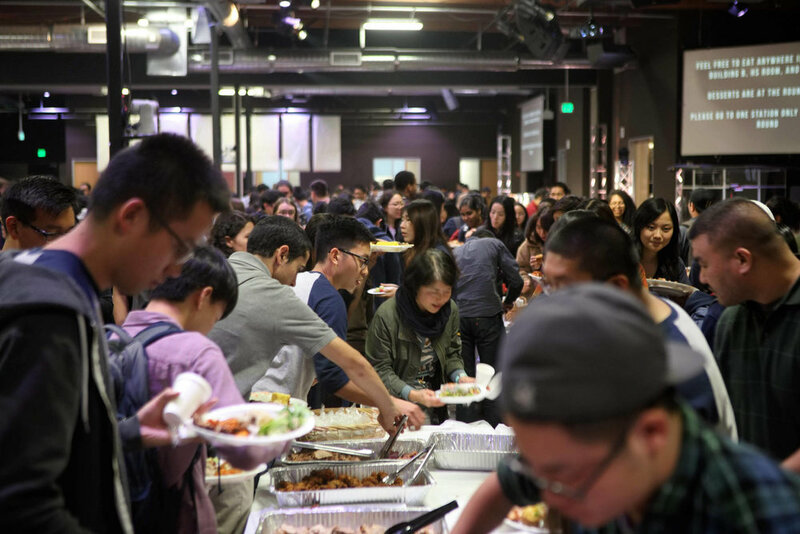 So much food… It was great to enjoy all the food that was prepared and just hang out eating dinner with one another! But then came the most exciting and loud part of the weekend: Thanksgiving Celebration. 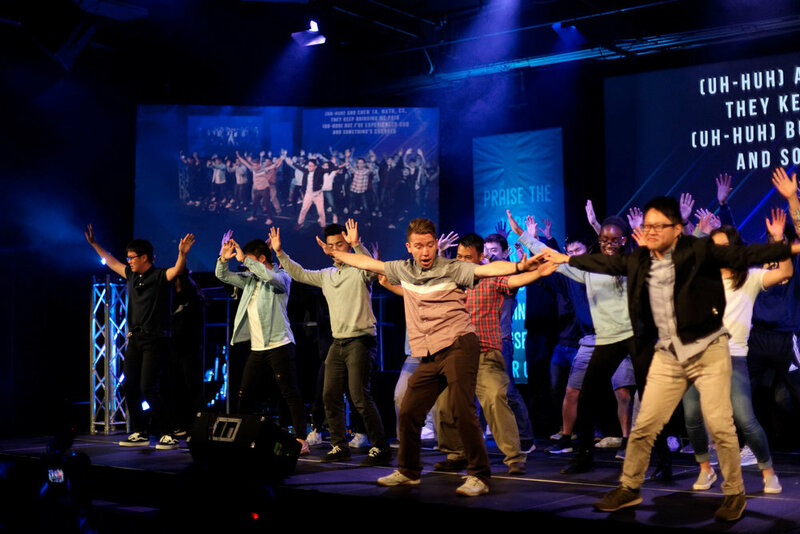 Almost a dozen different groups performed different acts on stage, all giving praise and thanks to God in some new and creative way. 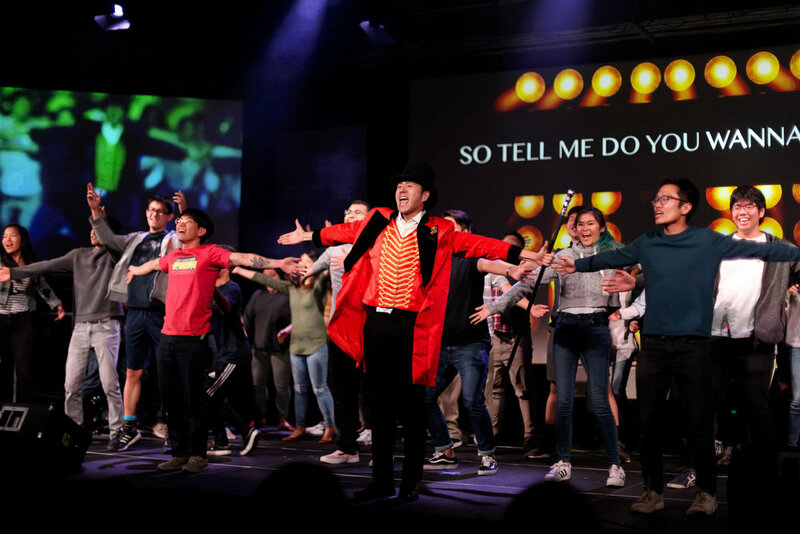 There were “Hamilton” and “Dear Evan Hansen” songs, there was Disney and Queen, and everything in between. The sophomores even put on an encore of their awesome “The Greatest Showman” song and dance from a few weeks back. You know what? I’ll just let the pictures do the talking. Have a great Thanksgiving break with friends and family! Praise God for all He’s done this past year, and all that’s to come in 2019!